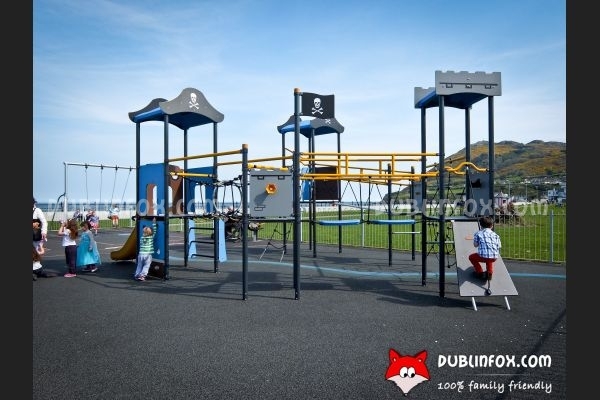 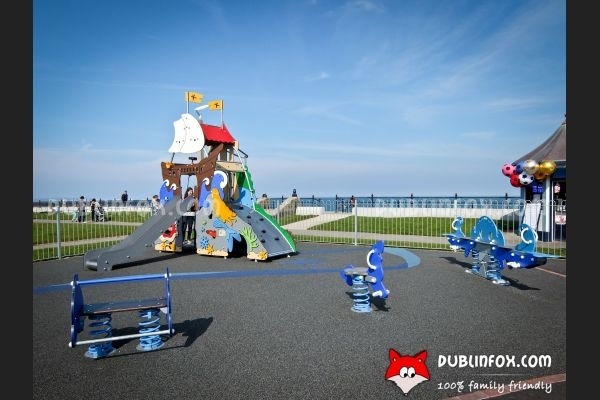 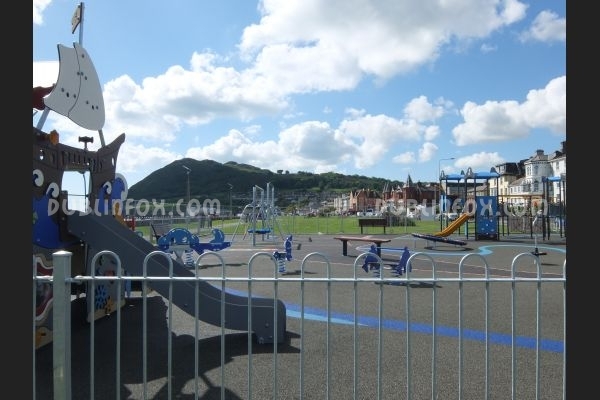 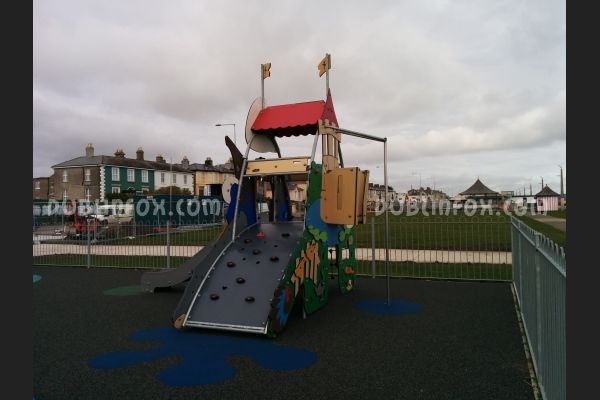 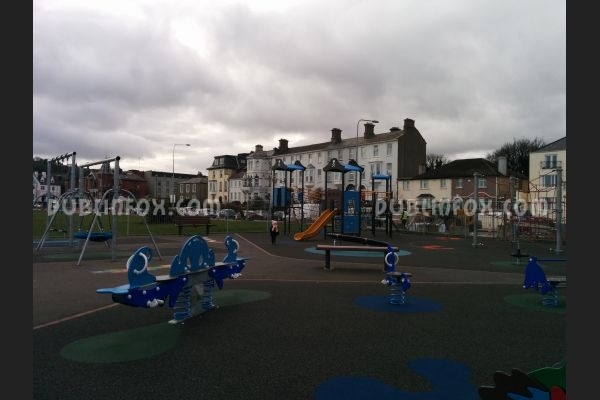 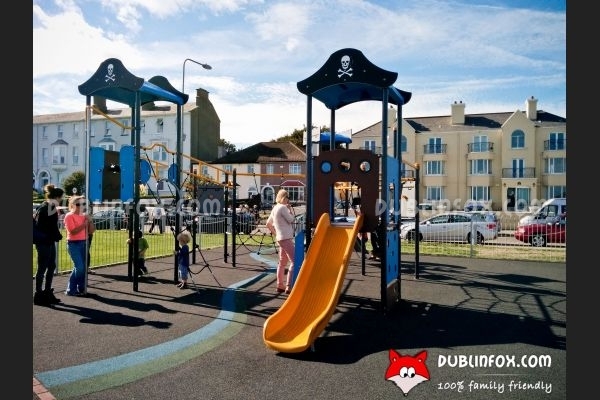 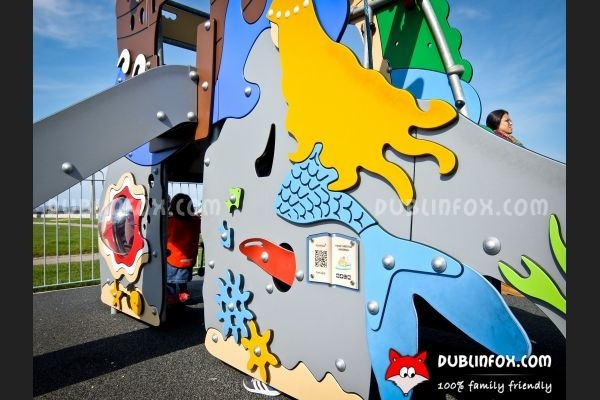 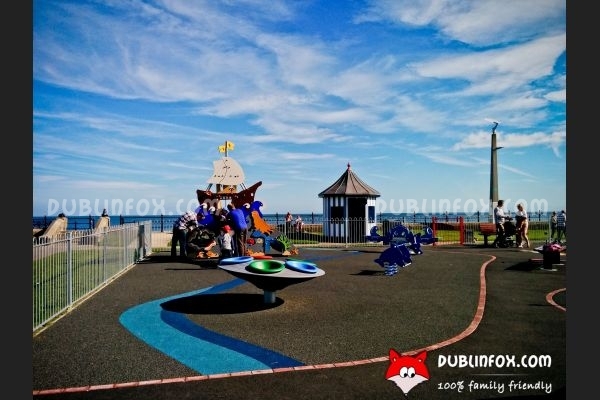 The long-awaited playground on the promenade in Bray is a very popular one. 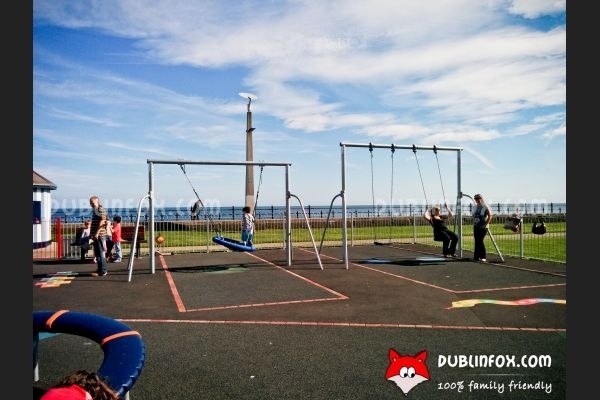 At weekends it can be very crowded, even if the sun does not shine, but usually it is not empty on weekdays, either. 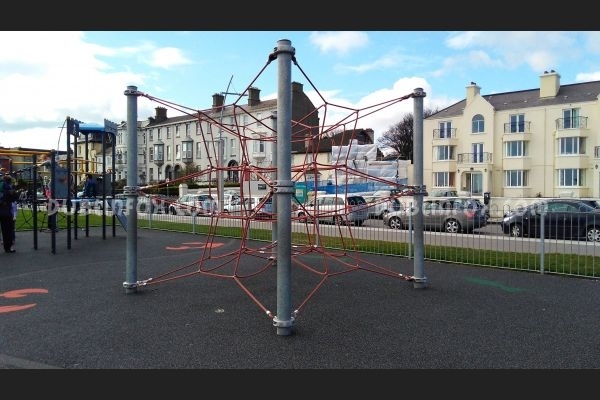 For toddlers there are a few springers, a baby swing, a see-saw, a nest swing, a roundabout swing and a multi-play unit with slide (this is perfect to play hide-and-seek with the others) and for older kids there are swings, a bigger multi-play unit with slide, a spider web climber and a supernova. 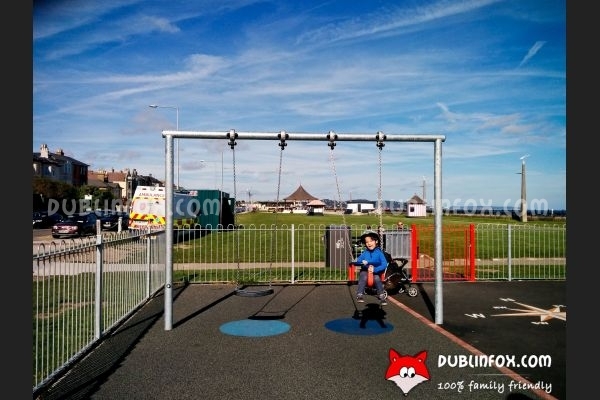 Parking near the playground is usually not difficult - only on a sunny summer weekend day.